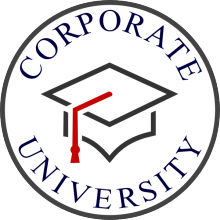 Establish your own Corporate University with CBM Training! Develop talent in your organisation by selecting 5 or more courses from this catalogue to run at your offices for a group of 8 or more. Ideally, these courses should be run over a 12 month period. This is the ideal opportunity for you to implement a “Ladder of Learning” and ensure that your training meets the needs of your team. Being pro-active with your training, rather than re-active will ensure that you retain your top talent!